“Thank YOU Warwick District Carriage Driving Club for all you do. Without your dedication and hard work there would be no club, and not many people would know about/be able to participate in carriage driving. You are such wonderful and knowledgeable advocates for the sport and also really genuine and lovely people who definitely deserve the recognition for such dedication...” Read more Testimonials here. Read more about our venue, facilities and equipment here. Congratulations to everyone involved with Warwick & District Carriage Driving Club on winning the ‘Equestrian Queensland Club of the Year 2014’ award. This prestigious award was presented to our club representative Karyn Dillmann (secretary/treasurer) at the Equestrian Queensland Awards Night in Brisbane on 31/1/15. With over 180 affiliated EQ clubs, the club of the year category in 2014 had thirteen nominations from which seven clubs made the finals. This award recognises an EQ affiliated club that during 2014, fostered participation and enjoyment at all levels of the sport, showed innovation in administration, skills development, and personal growth for members and provided opportunities for a diverse range of participants as well as a broad community appeal. Despite there being many other impressive and deserving finalists, an independent panel decided that our club was to be awarded the winner. This award acknowledges the hard work and contributions of all our members, volunteers, officials and sponsors involved with the club. It also affirms our club’s values, beliefs and actions, and supports the strategic direction we have to develop and grow carriage driving and to provide opportunities in carriage driving at all levels. 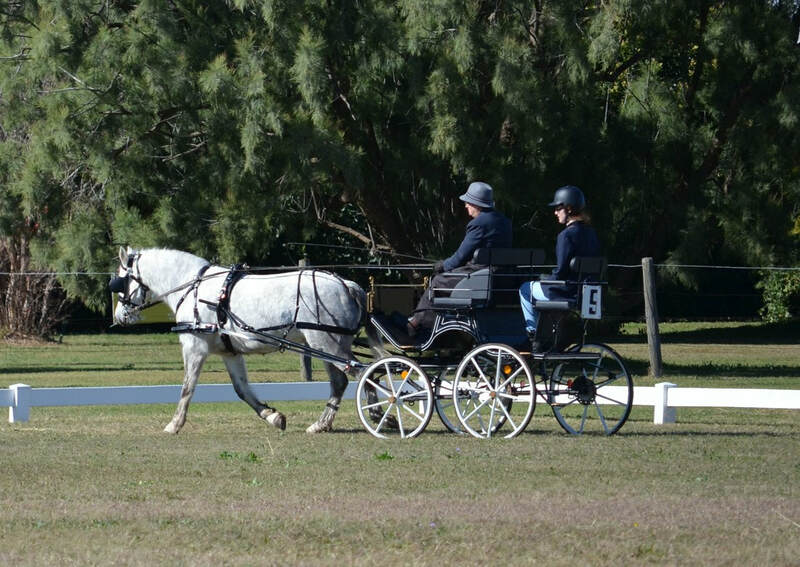 Above all, it recognises that our club has made a significant contribution to the betterment of equestrian sport in Queensland, specifically the sport of carriage driving. Winning this award is an outstanding achievement for our club and the sport of carriage driving.